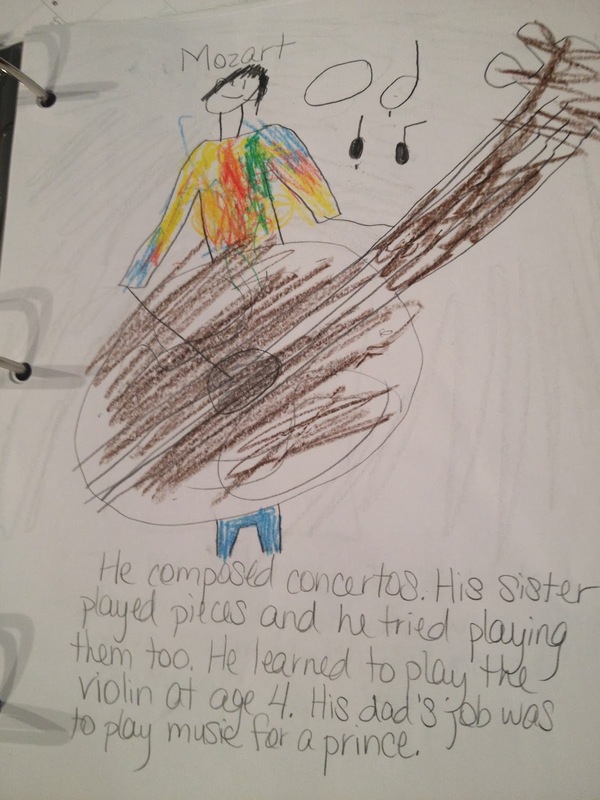 Although my kids take music lessons (violin and piano) and we use several things for art (See the Light Art and Atelier and sometimes Artistic Pursuits), I have not done a good job integrating artist and composer studies into our homeschool. So, I’ve determined to change that. Here’s how we study artists and composers here at Lextin Academy. Each semester I choose 1 artist and 1 composer. I order several resources such as biographies, picture books, art cards, and music CD’s. Then we read a few pages about the composer and about the artist each week. As I read, Curly draws a notebook page for each and then she narrates a few sentences to summarize what we read. I write her summaries on each page and then file them away in her notebook. Time line – We’re going to create a timeline that maps out the lives of the artists and composers. 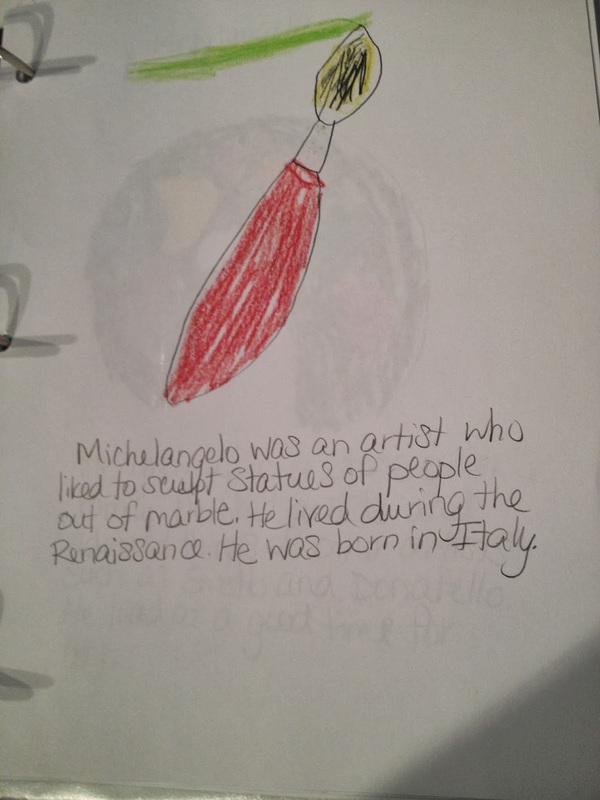 Time Periods – We’ll also study musical and artistic time periods (classical period, romantic period, modernism, cubism, etc) and create notebook pages that outline the main artists or composers and accomplishments of each period or era. Artists – We create multiple notebook pages for each artist and file them here. I’ll create mini-sections for each artist that we study. 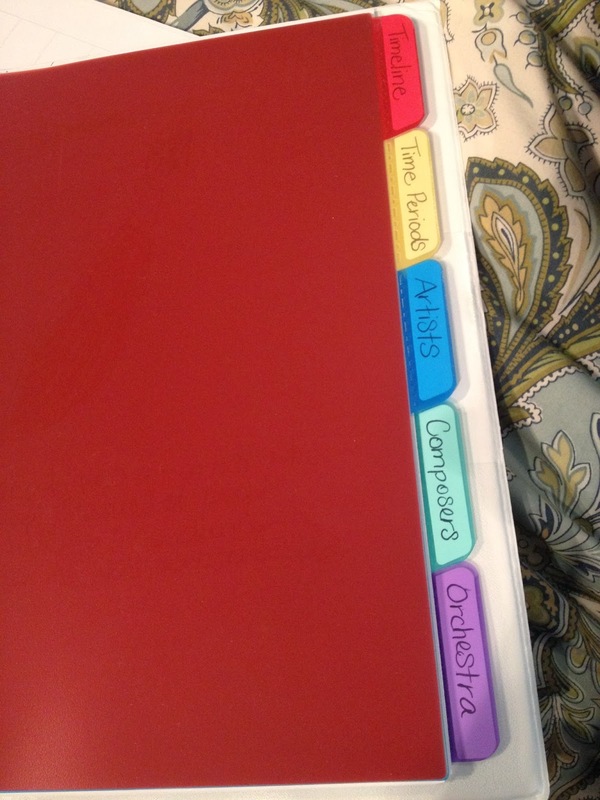 Composers – We put all our notebook pages with information about the different composers in this section. Orchestra – I plan to study the orchestra and all the various instruments. We’ll put notebook pages about each instrument in this section. Our study might not be organized and each semester will look slightly different as we cover various time periods, composers, artists, and instruments. However, this has quickly become one of the favorite parts of our school day as we read about artists and composers, listen to wonderful music, and enjoy beautiful art work. Do you study artists and composers? What are your favorite resources? We are really enjoying it. It's very simple and it actually gets done. My kids are really enjoying learning about the artists and composers, looking at the art work, and listening to the musical pieces. It's been enjoyable and low stress for me!